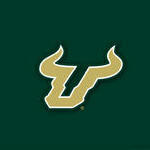 There is another side to that too...If Bell lights up the scoreboard, Strong can get a P5 job and Bell get's USF. Strong screwed the pooch this year, but keep your eyes on Illinois next year or Syracuse. Dino Babers will get a bigger job. I think Baylor would be interested in both so you don't know how that will pan out. Ruhle will be in the NFL after next season. Miami should have went after Babers with it's talent pool. Don't see anything in the ACC that would open next season other that Babers taking a better job. All the SEC team except Vandy are likely secured. Actually I think Strong needs to be at a place like Wake Forest. Can you give me some lottery numbers? He accomplishes that and he will go down as the greatest coach USF has ever had. It's crazy how close he is to being the second best statistical coach in our history. Just play the numbers yourself and you won't have to rely on Brad's generosity. The guy hasn't been here long enough for his coffee to get cold but you have him figured out. You must be psycho psychic. I have him figured out. I wonder why the coaches are still listed along with the players that are gone ... not official? Glad they have Bell's bio up.